This listing isTool set for repairing iPhones (4G Specific), mobile phones and other electronics. Quality - This is a quality tool set for tech and repair enthusiasts. Repair - Help to fix mobile phones, tablets and other hand-held devices. Compatibility - Compatible for many different applications including repairs for iPhone, iPod and more. Shipping - Lightening fast to the Lower 48 States, safe shipping world-wide. 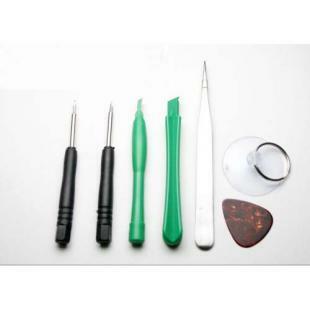 Find, Read Reviews & Buy cheap iPhone 4/4S Repair Tool Set Kit - Pry Pick Screwdriver Pentalobe Star Tweesers products at wholesale price from leading chinese supplier, enjoy online iPhone 4/4S Repair Tool Set Kit - Pry Pick Screwdriver Pentalobe Star Tweesers for sale and become wholesaler now!